If you’re planning on selling your home in London, it’s always a good idea to do your research on how to make your property more attractive to buyers. Many companies offer things like home staging, but this can be an additional expense your budget can’t cover. However, it’s possible for you to take these techniques and necessary DIY repairs to make your house or apartment more presentable. This will help you have more success in the housing market, with the intention of a faster sale. At Safe Removals , we work with thousands of people who are selling their homes every year. From experience, we understand that it’s a balancing act. The more investment you make can increase the likelihood of selling your house or flat. On the flip side, putting too much money into upgrading your property might not get the returns you’re hoping for. The result we’re all looking for is to avoid your home languishing on the market. And we’re confident we can help you avoid this. Home staging can be a hugely effective way to showcase your property to a large number of people. In fact, estate agents often state that home staging can sell your house faster than putting them on the market in its current state. However, having this done professionally is not cheap, and we’re looking for a wallet and purse friendly option. That’s why you can learn and use similar methods to improve the look of your home. Essentially, you need to have good common sense and an eye for small details. The first thing to do is read up on home staging articles online to see what you can replicate for your home. Additionally, look at small repairs and other DIY tasks that you need to complete. It’s surprising how effective fixing cracks in walls and repainting each room can be. 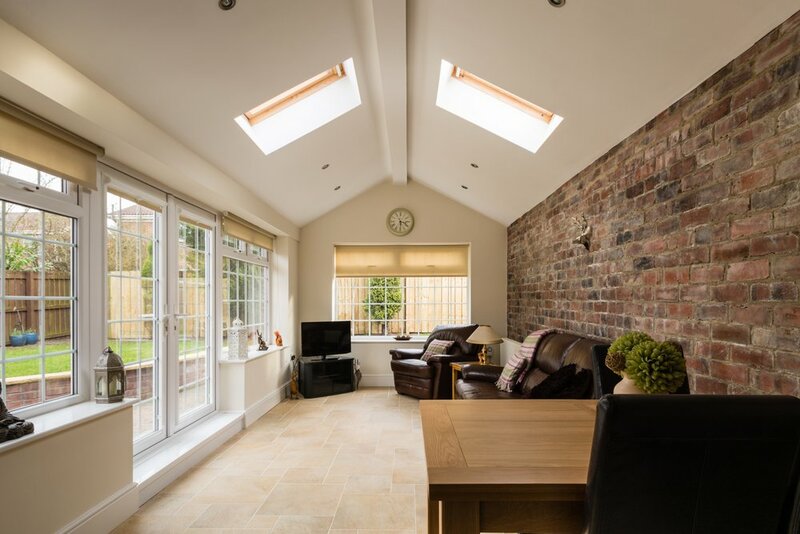 Wherever possible, utilise natural light to your advantage. And if you can’t, use subtle lighting that will replicate this effect. Another thing that you’ll need to undertake is a thorough clean of every inch of your home, which includes every carpet and surface. Ultimately, it’s possible to revamp your home without breaking the budget. Essentially, the aim of this is to go further than just sprucing up your home in the hope of attracting a buyer quickly. It’s a project that requires plenty of consideration, not unlike a full renovation or property development. And that’s how you should approach it. Safe Removals works with many professional property developers, and their favourite services are man and van, as well as storage. They regard them as an essential part of the projects they manage. With our Man & Van service, you get the use of a vehicle and two experienced Safe Removals team members. That’s means collections, and delivery sorted – plus additional labour. Storage is where you can drop off all tools and materials at the end of the day. Then, you can collect them all again the next day – free from theft or damage. And there’s no need to worry about long-term contracts – you can leave your unit when the job is done. Although many people keep their storage units after this because of the convenience storage provides. Everyone can benefit from a helping hand when it comes to selling a home in London. With new properties being built and plenty in the works, competition will increase in the next few years. Therefore, it’s essential to investigate ways of showcasing your property to highlight its best features. It’s all about showing off your home’s aesthetic assets without breaking the bank. If it adds value and is affordable, it will help sell your property. Everyone wants to avoid long periods on the housing market, so it’s within your interests to gather as much information on things like home staging and general improvements. At Safe Removals, we’re here to assist you in this process in any way we can. Whether it’s providing necessary services or passing on useful information, we’ll do our best to help you sell your home. Customer service is our number one priority, and it influences everything we do as a company. If you’re planning on selling your London home, contact us today. We have the right services to make sure you can showcase your home to find more potential buyers.